The Owlet Baby Monitor has made an incredible difference for families around the world. At $299.99, the price reflects the luxury specs of this baby monitor. The Owlet features heart rate and oxygen level tracking, smartphone-synced real-time data, and three adorable fabric Smart Socks. The release date of the latest version, the Owlet Baby Monitor Smart Sock 2, occurred in March 2017 and added an improved Bluetooth range and innovative new sock design to an already impressive product. 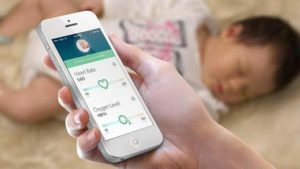 It's a safe, non-intrusive, smartphone-ready baby monitoring system with review from baby care bloggers like Experienced Mommy and tech enthusiasts like CNet alike. The Owlet Baby Monitor Smart Sock 2 helps parents and caregivers more thoroughly understand the wellbeing of their babies over traditional baby monitors, giving constant insight on breathing, heart rate, and oxygen levels. 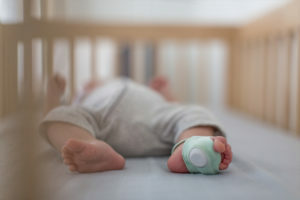 A tiny Smart Sock wraps around your child's foot and uses pulse oximetry to relay data straight to your smartphone, so you are immediately updated on any irregularities. 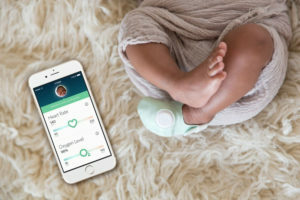 Though there is not yet an expected release date for the Owlet Baby Monitor Smart Sock 2 in the UK, Big Apple Buddy has already gotten started on helping UK parents buy the Owlet Baby Monitor UK with no hassle! Unfortunately, the USA Owlet online store does not currently offer international shipping. However, Big Apple Buddy, your personal shopper, can help you buy products direct from the official USA Owlet online store and ship them to your doorstep, no matter where you are in the world. We offer international shipping to over 110 countries including Australia, Austria, Azerbaijan, Bahrain, Belgium, British Virgin Islands, Brunei, Bulgaria, Canada, Chile, Costa Rica, Croatia, Czech Republic, Denmark, Estonia, Fiji, Finland, France, French Polynesia, Germany, Gibraltar, Greece, Greenland, Hong Kong, Hungary, Iceland, Indonesia, Ireland, Israel, Italy, Japan, Jordan, Kuwait, Latvia, Liechtenstein, Lithuania, Luxembourg, Macau, Malaysia, Maldives, Malta, Marshall Islands, Mauritius, Monaco, the Netherlands, Netherland Antilles, New Zealand, Norway, Oman, Poland, Qatar, Romania, San Marino, Saudi Arabia, Serbia and Montenegro, Seychelles, Singapore, Slovak Republic, Slovenia, Spain, South Africa, St. Lucia, Sweden, Switzerland, Taiwan, Thailand, the UAE, the UK, Vatican City, and Vietnam. If you would like to buy from the USA Owlet online store, simply get in touch and let us know which items you would like to order. We’ll get back to you with a free international shipping quote within 24 hours!